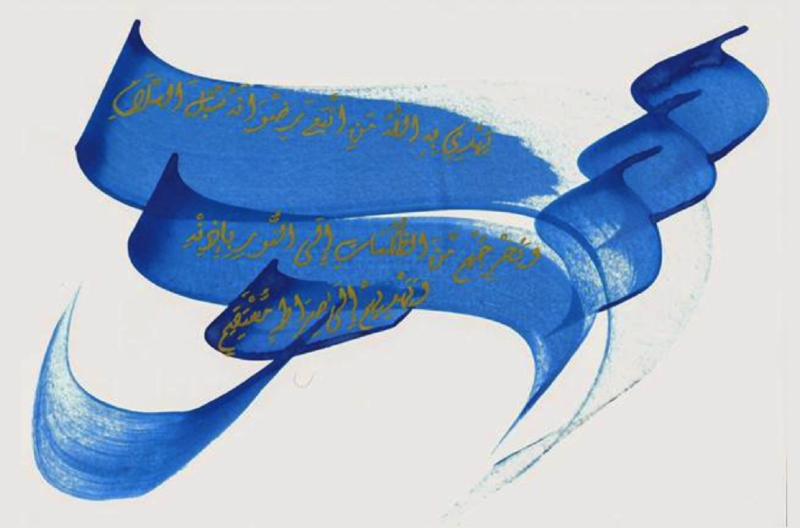 Artists who have influenced my art work: Works by Mazher Nizar have been the primary influence to my artwork. Mazher Nizar is a Yemini artist whose works showcase Muslim women in hjiab using different artistic medium including oil/acrylic, watercolor, mixed media and graphic. He portrays all women wearing a hijab in several bright and vibrant colors, which to my understanding, is to highlight the real beauty and value of women even though they are fully covered. The message he conveys through his art work, inspired me to create my own and address the misconception that all Islamic women are oppressed. Concept- description: The art work focuses on the stereotype against women in Islam. The media which plays a central role in shaping our views and thinking often portrays the lives of Muslim women quite negatively. It has changed the perceptions of people about Muslim women and their contributions to the society. Most often, words such as oppressed, tormented, incapable, submissive, backward or voiceless are associated with women who are Muslim or are living in a society where the majority of people are Muslim. In western cultures specifically, people have developed the notion that a woman who is wearing a hijab or a head scarf has restrictions put on her in terms of being able to express her true self. The opinions, success stories and achievements of such women are ignored by the media while the way they dress is highlighted or given much importance. The society and the media create situations that make it difficult for Muslim women to observe the hijab, and so the art work aims at criticizing the media for promoting a distorted image about the reality of hijab among non- Muslims and creating difficulties for Muslims who do wear the hijab as they have to face a lot of negative reactions from others. 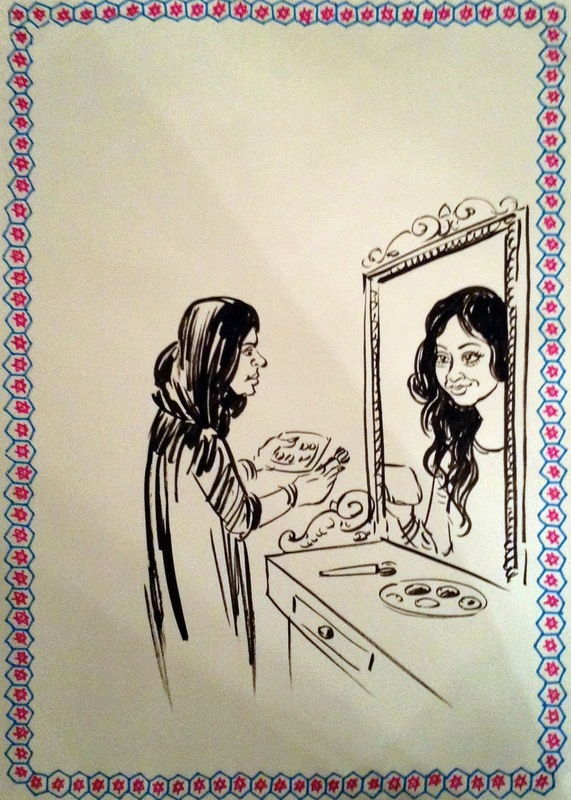 The art work depicts a Muslim woman looking at herself in the mirror. While standing in front of the mirror, she is fully covered or wearing a hijab. However, her reflection in the mirror is without the hijab. The background story of the art work or the scene is that the woman is living in a Western society that has a negative connotation associated with the hijab. Since the media and/or the society have made her feel out of place by wearing the hijab, she no longer wishes to be seen wearing it. Her reflection is symbolic of her desire to be what the society is expecting her to be. The woman begins to feel that if she is no longer wearing a hijab, she would be in a happier state and would receive acceptance from the society. Her condition is such because of how the media portrays Muslim women, that is, lacking access to basic rights such as education and equal job opportunities, and being unable to live a peaceful and content life. Islam, on the contrary, gives equal rights to both men and women. The sole purpose of the hijab is to protect the modesty of a woman and enable her to be recognized and appreciated for her knowledge, skills and intellectual ability over her physical appearance or beauty. The hijab is not a symbol of oppression or inferiority rather it is a symbol of the commitment to piety and a step to being closer to God spiritually. Also, a woman is not forced to wear a hijab; it is a personal choice and the intention to follow God’s command. In reality, Muslim women who wear a hijab are not oppressed or lacking freedom, and the media or the non-Muslim world should focus on who a person is rather that what the person is wearing. 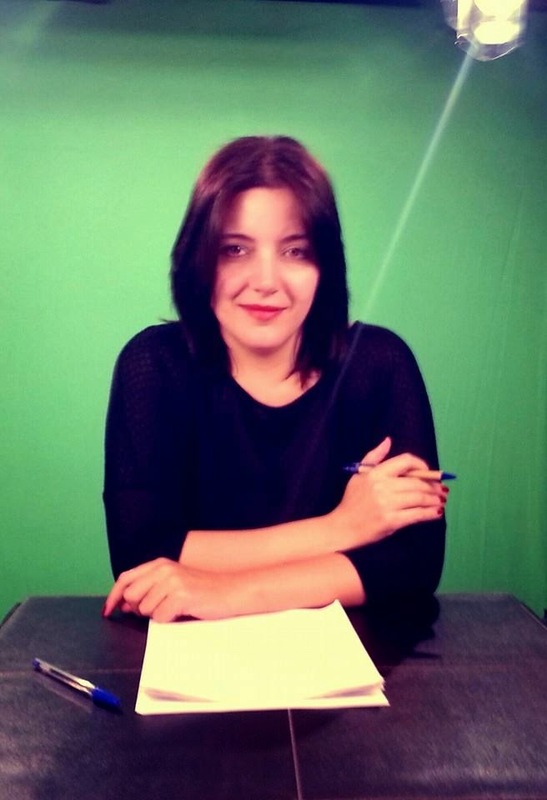 Student biography: Bizzath Ali is a student at the American University in Dubai, majoring in marketing. Her interests include reading and music.